Lot 11 Original LNER Enamel. 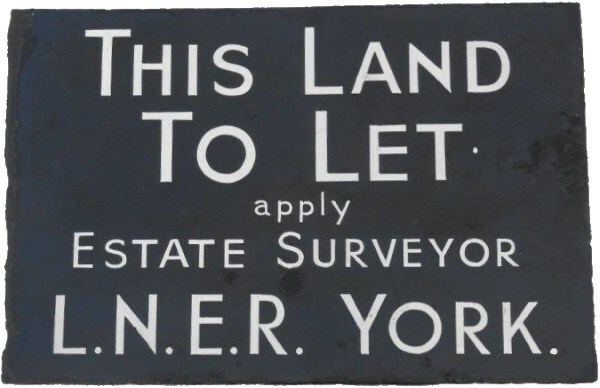 "THIS LAND TO LET - APPLY ESTATE SURVEYOR - LNER YORK". A rare survivor. Size 18" x 12". Never been in auction before. ANOTHER FIRST FOR STAFFORD.